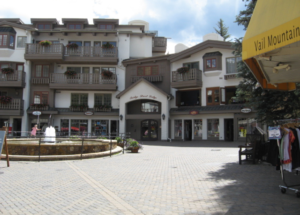 Bridge Street Investments, LLC, a Colorado limited liability company, purchased unit 303 at 278 Hanson Ranch Road in Vail, Colorado for $2,200,000 on May 29, 2007. Agustin Maria Franco Macias was an owner of Bridge Street Investments, LLC as of March 18, 2012. ChedrauiLeaks previously wrote about Franco Macias’s ownership stake in Bridge Street Investments in connection with Units 402 and 403 at 278 Hanson Ranch Road in Vail. Unit 303 was valued at $1,163,000 for tax purposes as of July 30, 2018. Agustin Maria Franco Macias is one of the members of the Mexican Business Council who has met with Enrique Pena Nieto. Franco Macias served as chairman of the board of Grupo Infra as recently as February 2017 according to an Energy Ministry press release at the time. He was an independent director of Grupo Financiero Inbursa, S.A.B. de C.V. until July of 2017, when he was replaced by Agustín Franco Hernaiz. Agustin’s brother Elmer Franco Macias has been on the board of Telmex since 1991. ChedrauiLeaks.org has noticed that the media in Mexico contains very little information about the business dealings and personal assets in the United States of what could be termed Mexican elites, wealthy business people and politicians. ChedrauiLeaks is not stating that members of the Chedraui family or its businesses had any involvement with Bridge Street Investments LLC or this condo unit.